Anyone for mangoes? 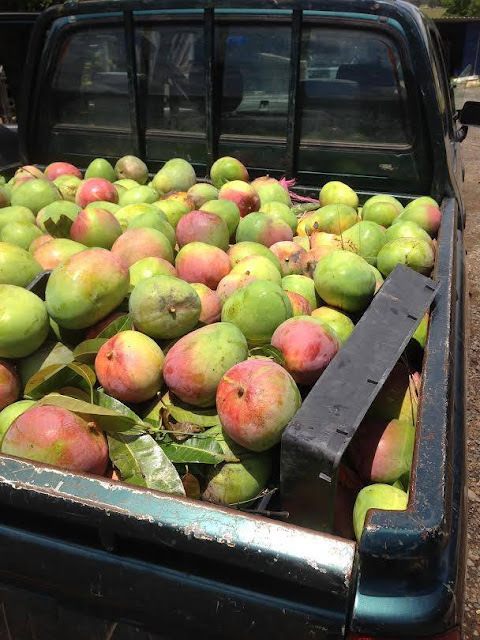 We have a great crop of R2E2 mangoes which we need to eat our way through to get to the seeds. It is a hard job but someone is going to have to do it.